Astronomers studying data collected by NASA's Kepler spacecraft announced that based on the analysis, one out of every five sun-like stars in the Universe have Earth-sized planets with a surface temperature conducive to life. Habitable planets are located in an orbit around a star where the heat of the star is just the right temperature where liquid water can exist. Water is one element that is believed to be important to the existence of life. When a planet is too far, water freezes and if it is too close to the star, water vaporizes. Although it is presumed that the presence of water is an important factor, the planet's atmosphere and surface terrain is also of importance. Without a suitable atmosphere, the planet is exposed to radiation and extreme temperatures. The surface terrain helps harbor the liquid water to sustain life. By knowing that 20% of sun-like stars harbor a habitable planet, astronomers can start planning for a mission to take an actual picture of it. This also means that there may be habitable planets as close as 12 light years away from the Earth. The closest exoplanet to the Earth was discovered orbiting Alpha Centauri B in the Alpha Centauri system 4.3 light years away. Although the planet has a mass similar to the Earth, its orbit around Alpha Centauri B is too close to the star that it is outside of the habitable zone. Based on a statistical analysis of all the Kepler observations, University of California, Berkeley, and University of Hawaii, Manoa, astronomers now estimate that one in five stars like the sun have planets about the size of Earth and a surface temperature conducive to life. "It's been nearly 20 years since the discovery of the first extrasolar planet around a normal star. Since then we have learned that most stars have planets of some size and that Earth-size planets are relatively common in close-in orbits that are too hot for life," said Andrew Howard, a former UC Berkeley post-doctoral fellow who is now on the faculty of the Institute for Astronomy at the University of Hawaii. "With this result we've come home, in a sense, by showing that planets like our Earth are relatively common throughout the Milky Way galaxy." Petigura, Howard and Geoffrey Marcy, UC Berkeley professor of astronomy, will publish their analysis and findings online the week of Nov. 4 in the journal Proceedings of the National Academy of Sciences. "For NASA, this number – that every fifth star has a planet somewhat like Earth – is really important, because successor missions to Kepler will try to take an actual picture of a planet, and the size of the telescope they have to build depends on how close the nearest Earth-size planets are," Howard said. "An abundance of planets orbiting nearby stars simplifies such follow-up missions." The team cautioned that Earth-size planets in Earth-size orbits are not necessarily hospitable to life, even if they orbit in the habitable zone of a star where the temperature is not too hot and not too cold. Last week, however, Howard, Marcy and their colleagues provided hope that many such planets actually are rocky. They reported that one Earth-size planet discovered by Kepler – albeit, a planet with a likely temperature of 2,000 Kelvin, which is far too hot for life as we know it – is the same density as Earth and most likely composed of rock and iron, like Earth. "This gives us some confidence that when we look out into the habitable zone, the planets Erik is describing may be Earth-size, rocky planets," Howard said. NASA launched the Kepler space telescope in 2009 to look for planets that cross in front of, or transit, their stars, which causes a slight diminution – about one hundredth of one percent – in the star's brightness. From among the 150,000 stars photographed every 30 minutes for four years, NASA's Kepler team reported more than 3,000 planet candidates. Many of these are much larger than Earth – ranging from large planets with thick atmospheres, like Neptune, to gas giants like Jupiter – or in orbits so close to their stars that they are roasted. To sort them out, Petigura and his colleagues are using the Keck Telescopes in Hawaii to obtain spectra of as many stars as possible. This will help them determine each star's true brightness and calculate the diameter of each transiting planet, with an emphasis on Earth-diameter planets. Independently, Petigura, Howard and Marcy focused on the 42,000 stars that are like the sun or slightly cooler and smaller, and found 603 candidate planets orbiting them. Only 10 of these were Earth-size, that is, one to two times the diameter of Earth and orbiting their star at a distance where they are heated to lukewarm temperatures suitable for life. 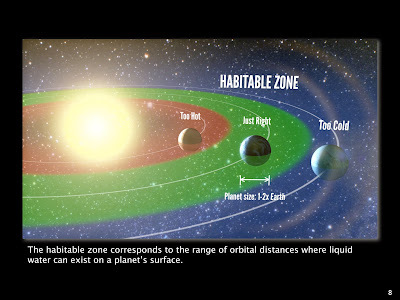 The team's definition of habitable is that a planet receives between four times and one-quarter the amount of light that Earth receives from the sun. 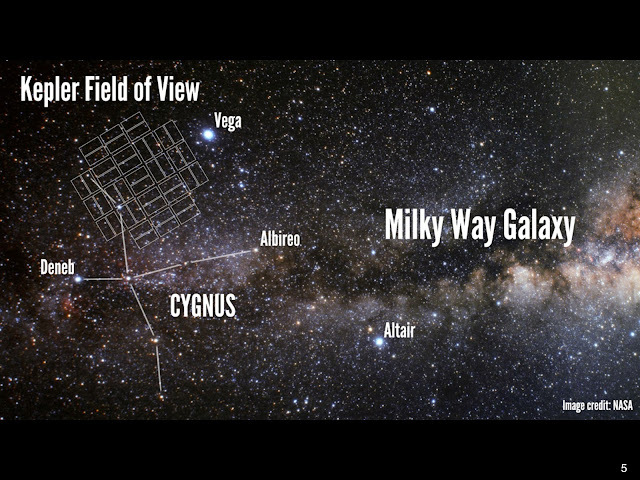 NASA's Kepler spacecraft observed 150,000 stars within a field in the constellation Cygnus. What distinguishes the team's analysis from previous analyses of Kepler data is that they subjected Petigura's planet-finding algorithms to a battery of tests in order to measure how many habitable zone, Earth-size planets they missed. Petigura actually introduced fake planets into the Kepler data in order to determine which ones his software could detect and which it couldn't. "What we're doing is taking a census of extrasolar planets, but we can't knock on every door. Only after injecting these fake planets and measuring how many we actually found, could we really pin down the number of real planets that we missed," Petigura said. Accounting for missed planets, as well as the fact that only a small fraction of planets are oriented so that they cross in front of their host star as seen from Earth, allowed them to estimate that 22 percent of all sun-like stars in the galaxy have Earth-size planets in their habitable zones. "The primary goal of the Kepler mission was to answer the question, When you look up in the night sky, what fraction of the stars that you see have Earth-size planets at lukewarm temperatures so that water would not be frozen into ice or vaporized into steam, but remain a liquid, because liquid water is now understood to be the prerequisite for life," Marcy said. "Until now, no one knew exactly how common potentially habitable planets were around Sun-like stars in the galaxy." All of the potentially habitable planets found in their survey are around K stars, which are cooler and slightly smaller than the sun, Petigura said. But the team's analysis shows that the result for K stars can be extrapolated to G stars like the sun. Had Kepler survived for an extended mission, it would have obtained enough data to directly detect a handful of Earth-size planets in the habitable zones of G-type stars. "If the stars in the Kepler field are representative of stars in the solar neighborhood, … then the nearest (Earth-size) planet is expected to orbit a star that is less than 12 light-years from Earth and can be seen by the unaided eye," the researchers wrote in their paper. "Future instrumentation to image and take spectra of these Earths need only observe a few dozen nearby stars to detect a sample of Earth-size planets residing in the habitable zones of their host stars." In January, the team reported a similar analysis of Kepler data for scorched planets that orbit close to their stars. The new, more complete analysis shows that "nature makes about as many planets in hospitable orbits as in close-in orbits," Howard said.